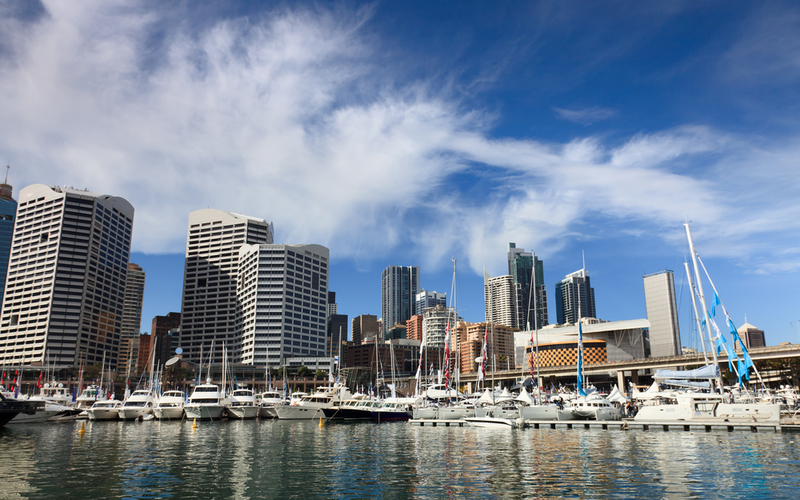 SMART Boating is proud to showcase three brand new boats at the Sydney International Boat Show, including the VERY FIRST 2018 model Lagoon 40 catamaran to arrive in Australia, our latest Hanse 455 yacht, and the fourth Integrity motor cruiser to join our SMART Boating fleet! Martin and David will be down at Cockle Bay Marina to show you around and answer your questions about these three exciting new additions to our SMART Boating fleet, as well as any of the other current boat shares. 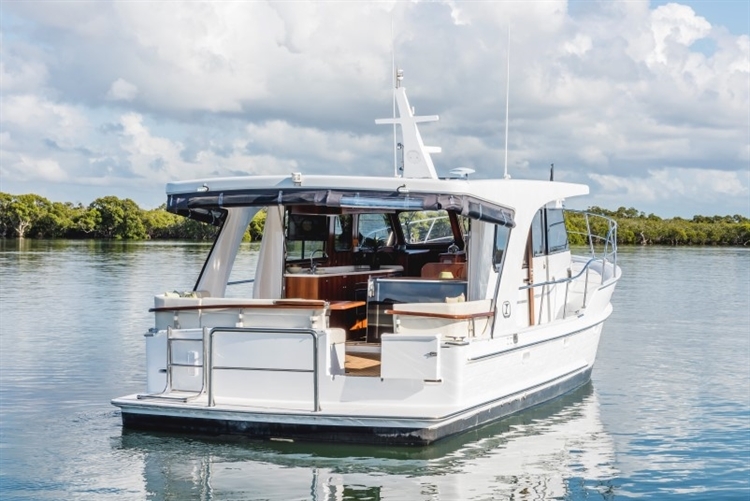 Not only can you be one of the very first people to see the ONLY 2018 model Lagoon 40 in Australia … but you can also save with SMART Boating’s pre-delivery pricing! A 10% ownership share is only $84,500* (*price increases to $90,000 at the conclusion of the Sydney International Boat Show). This brand new to market Lagoon 40 was recently unveiled at the Cannes Yachting Festival. It’s the very first Lagoon 40 to arrive in Australia and will be located at SMART Boating’s Sydney Harbour base at Clontarf Marina. Showcasing the synergy of Lagoon’s innovation and expertise, this superb three-cabin layout yacht takes the Lagoon range to the next level in delivering a luxurious on-water lifestyle to comfortably meet the needs of owners and large families. 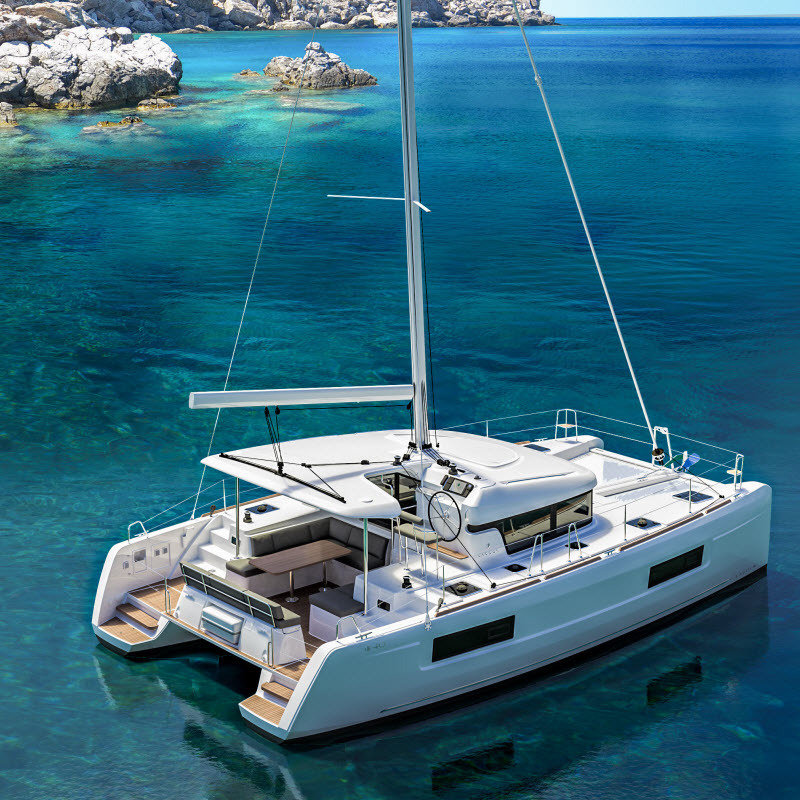 This new model Lagoon 40 from the world’s number one catamaran manufacturer really has to be seen to be believed, so come on down to the boat show and see for yourself what all the fuss is about! The Hanse 455 ..."Boat of the year"
Innovative, distinctive and powerful – this stunning yacht is currently turning heads all around the world. 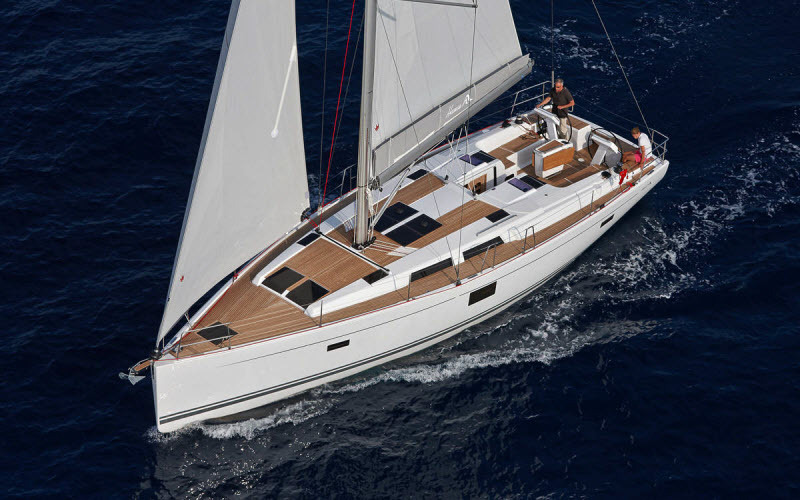 In fact, not only is the Hanse 455 the best-selling Hanse model worldwide, but it’s also been named boat of the year in a number of countries. …and we even sail the boat up and back again for you! SMART Boating is also bringing the fourth Integrity motor cruiser to join our fleet to the Sydney International Boat Show, and we’d love to have you onboard. The Integrity 380 is incredibly spacious, with wide walk-around decks. You can host up to four couples in comfort with a large dinette that drops to create a double bed and a cockpit table that lowers to create a double sun bed, in addition to the two cabins. The Integrity 380 Sedan really is a massive entertainer’s delight … and all for a fantastic price.